Palestinians continue to flock to the border as part of the #GreatReturnMarch: an act which will mark 70 years since the Nakba. Most Palestinians in the Gaza Strip are refugees and their descendants, who were forcibly expelled from their homes in Mandatory Palestine in 1948. They have been systematically denied their right of return by Israel ever since. 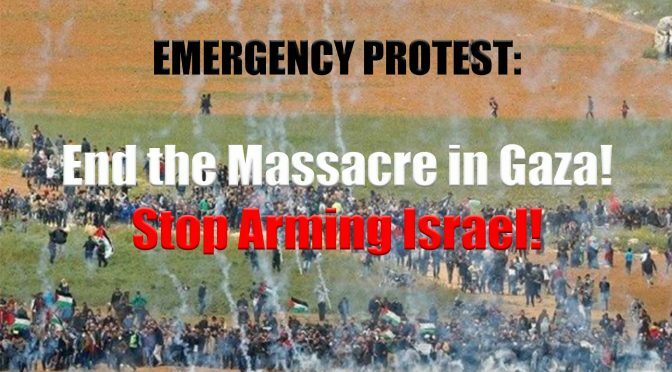 The Israeli violence towards the peaceful protests in Gaza continues with now 31 reported killed. They are demanding basic human right, including their right of return to their homes, in what is now Israel. The right of Palestinian refugees and their descendants to return to home is enshrined in international law. In December 1948 the UN General Assembly adopted Resolution 194, which called for the return of Palestinian refugees to their homes. In June 1967, the UN Security Council passed Resolution 237 called on Israel to facilitate the return of refugees. These resolutions are still in force.